What do you get when you cross a cat with a fish? 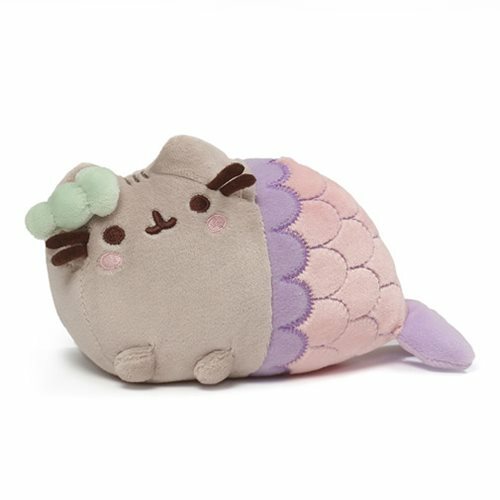 This cute-as-can-be Pusheen the Cat Spiral Shell Mermaid Plush with a spiral-shaped shell on her head, that's what! She measures about 7-inches long x 3 3/4-inches wide x 2 1/2-inches tall, ready for hugs and squeezes. Ages 1 and up.